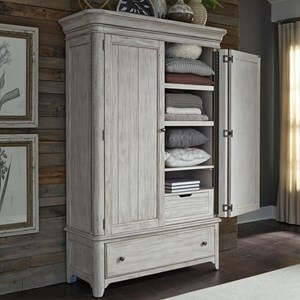 Add classic storage and style to your bedroom with this beautiful armoire. Two doors open to reveal 5 shelves and two interior drawers, perfect for storing your clothing or other miscellaneous bedroom items, while the cedar lined bottom drawer is perfect for stowing away extra thick blankets for those cold winter nights. 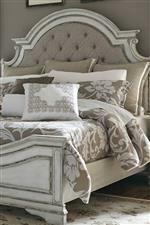 Bead molding, framed drawer fronts, and canted corners create a uniquely traditional look for this piece that will blend in perfectly with the refined look and feel of your master bedroom. 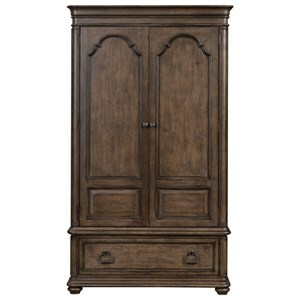 The Magnolia Manor Traditional Armoire with Cedar Lined Bottom Drawer by Liberty Furniture at Prime Brothers Furniture in the Bay City, Saginaw, Midland, Michigan area. Product availability may vary. Contact us for the most current availability on this product. 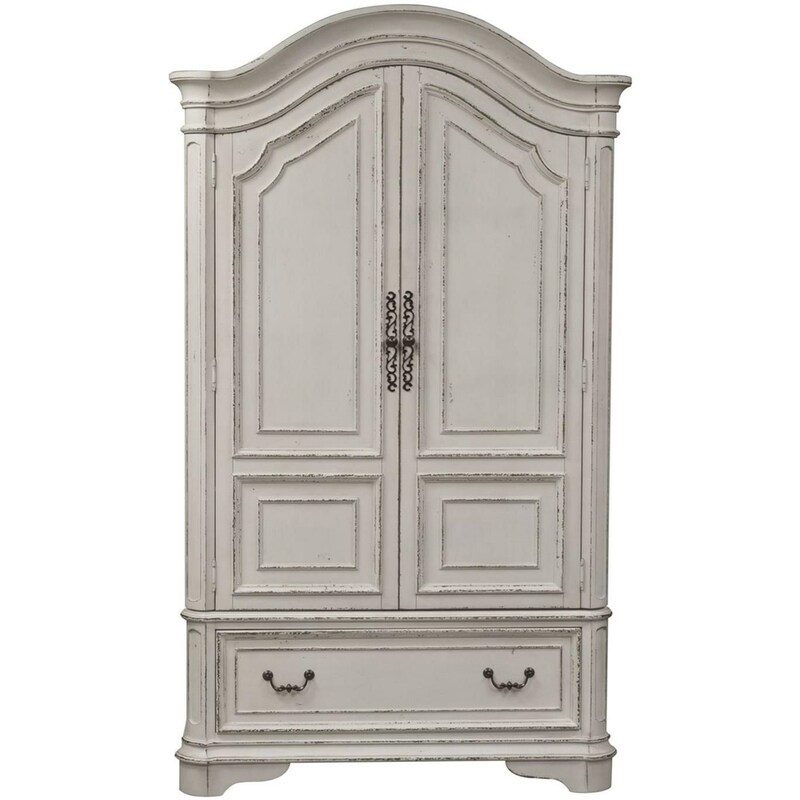 244-BR46 Armoire Top 1 48" 22" 63"
244-BR46B Armoire Base 1 47" 22" 19"
The Magnolia Manor collection is a great option if you are looking for furniture in the Bay City, Saginaw, Midland, Michigan area. Browse other items in the Magnolia Manor collection from Prime Brothers Furniture in the Bay City, Saginaw, Midland, Michigan area.